Planning your holidays and you still do not know where to stay in the Reunion Island. We have regrouped some of the top 4 star hotels found in Reunion Island, hopefully it might help you to take a decision for your holidays or business trip. Here is a sneak peek at the 4 star hotels of the island. “There all is order, naught amis: Comfort and beauty, calm and bliss.” On these words of Baudelaire, expect to be immersed in the sweet fragrance of exotic wood as soon as you walk in the main lounge. At Blue Margouillat, you will feel pampered more than ever with its rooms – 2 types of rooms. You will have the choice between a Sea View Bedroom or a Creole Suite with a spa tub. It is also to be noted that Blue Margouillat will fetch you at the airport to the hotel. There, various services await you. Work or entertain yourself on the internet freely. At your arrival at the hotel, you will find fresh fruits plate and chocolate, and a bottle of champagne waiting for you. What would you dream more than that? If you wanted to taste the exoticism of Reunion Island, you will be delighted to know that Blue Margouillat has a large variety of jams – litchi, papaya, tamarind etc as well as freshly made fruit juice. Moreover, you will be able to experience a candle-lit dinner around the swimming pool or on the porch with some soothing Jazz music. As for wellness, you might want to head to the massage center and then grab a nice book in the library. Superbly located in front of the beautiful Boucan Canot beach in Saint-Gilles-les-Bains, the Hotel Le Saint Alexis is a symbol of peace and serenity. Charm, originality, conviviality and refinement, is assembled in such a way that your stay will be one of the most pleasant you have ever come across. Lying like a lake city, with its 700m ² and 1000m ² of swimming pools and relaxation, this hotel of charm and luxury, flooded with light and water, has already seduced many demanding visitors, attached to the values of an inn Traditional. You will be charmed by this renowned address where an exceptional situation, original and bold architecture integrating arches, columns, walkways, a tropical garden, offer the best conditions for some relaxation at the edge of the Indian Ocean. Spacious and elegant, all rooms are true havens of peace. Each of the rooms has a terrace or a balcony opening onto the two sumptuous swimming pools. Access to these rooms is made directly by the rooms for those located on the ground floor. Other services include a pool table, a spa and beauty institute, baby-sitting, free internet, etc. Nested in lush greenery on a 15,000 m² tropical estate, Lodge Roche Tamarin & Spa has been built on a mountainside, and enjoys a splendid view of the Indian Ocean. The walkways wind through the estate and connect the 20 Lodges and Suites which was built in wood on stilts, in the middle of nature. The elegance of the wood, the charm of the shimmering stone, the lush vegetations, the wild perfumes of the plants and the singing of the birds give the whole place, a unique, original, restful and hypnotising style. Decorated with refinement, the wooden chalets, cozy and comfortable, each have a private terrace, sheltered from any indiscreet look, facing the ocean. A pleasant stay in a charming and relaxing, irreproachable service and an ideal situation in our region, this is what the Hotel Lodge Roche Tamarin & Spa will offer you. Also if you would like to have much more exclusivity with your partner, you might want to choose the romantic suite while if you are on business, the executive suite would be much more appropriate. You will be served breakfast in a beautiful garden known as the Jardin des orchidées. If you fancy a little drink, head straight to the bar, where the tender will be more than happy to concoct you one of his numerous creations. On the other hand, if you need some relaxation, the AquaZen space and its treatments and massages will help you. As soon as you will enter the premises, you will be greeted with a cocktail or drink and in case that you come much more earlier or late than planned, a room with refreshments is made at your disposition. Parkings are available, as well as a swimming pool and massages but on reservation. 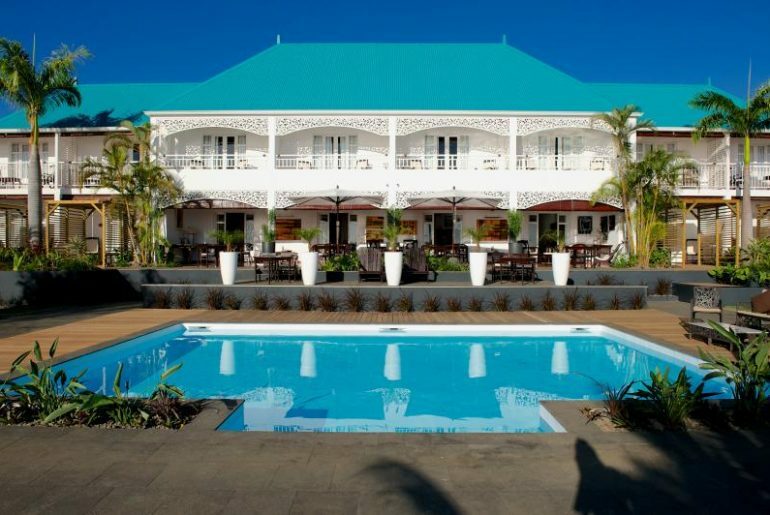 The Boucan Canot Hotel is beautiful and charming hotel which combines the creole authenticity along with modern cosiness. Intimacy and luxury are the main priority of the hotel. This can be showed by the rooms offered. For instance, imagine having breakfast in your magnificent bedroom every morning till 10am. You can have different view from different rooms – the lagoon, the garden or mountain. In terms of cuisine, The Boucan Canot Hotel prepares several meals based on the current season along with Reunion Island’s flavours. Some activities include paragliding, helicopter ride, diving sports, tennis, golf, etc.